CLICK HERE FOR THE STUDIO CLASS SCHEDULE! Click here for 2018 MJOH results!! Jacqueline Hill & the EPG TEAM presents the incredible AWARD WINNING "Bella Belle"
Congratulations to ELITE Dance Studios, Jacqueline Hill, on winning the "Educator of the Year" award! What a well deserved award! ELITE Dance Studios - where the DANCERS DANCE! Welcome to ELITE Dance Studios where every dancer gets personalized, professional, outstanding instruction. It’s what our clients demand and ELITE delivers! Studio Owner & Director, Jacqueline Hill, has been teaching the best dancers around the world for over 20 years on more than 4 continents! She is thrilled to supply the only professional studio to the Santa Clarita Valley. A studio that offers a positive & nurturing approach to teaching dance, entertainment & professionalism. 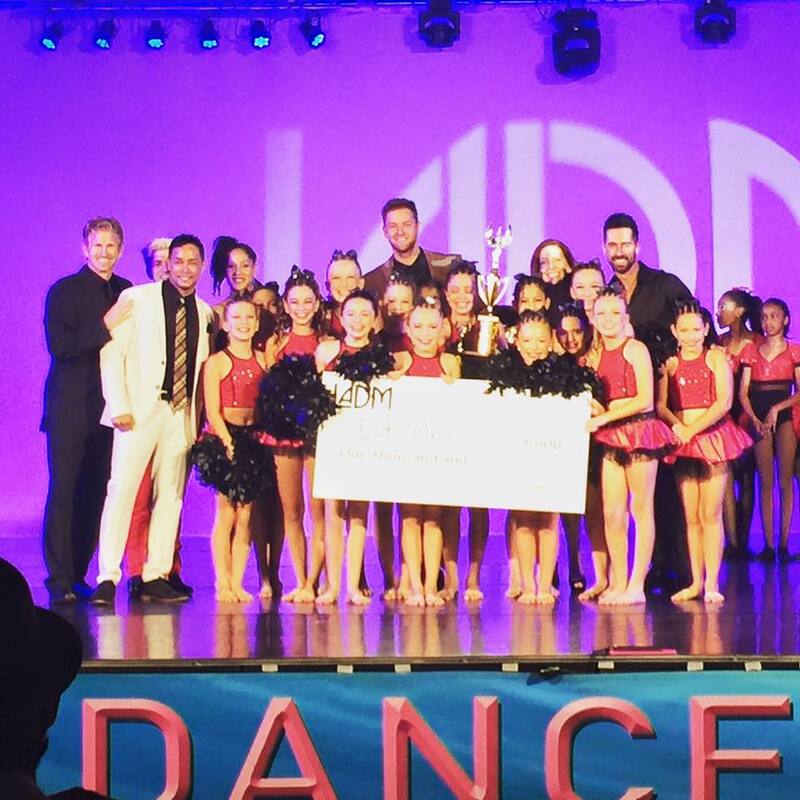 From National Championship Competition TEAMS to working professional dancers ELITE does it ALL! Stop by and meet the prestigious ELITE Staff...dancers of all levels are ALWAYS welcomed and nurtured at ELITE Dance Studios! ELITE Dance Studios offers classes for all ages and levels of experience where you can try before you buy. ELITE offers dancers one free trial class in each style of dance to ensure that your student enjoys the class, is comfortable with the instructor, and wants more. See our Class Schedule and make a reservation for your free trial today! Home of the ELITE Performance Group and the ELITE PETITE Performance Group, the only professional groups in Santa Clarita, Castaic, and surrounding areas. Our TEAM has been thrilling audiences not only in our town but all over Hollywood too! Click! and check out Emily Dreyfus in this FIAT Commercial Project! The Magical Journey of Hope 2016 is still on our mind! Such an inspirational show, filled with so much delightful moments! Stay enrolled in ALL of your classes this summer to perform in December 2017..BALLET Classes especially if you are considering auditioning for a lead role in this STUNNING BROADWAY BALLET! "The Magical Journey of Hope" 2016 was a HUGE success! What a magical and beautiful performance by our dancers. Thank you to the famous El Portal Theatre. We can't wait for next year! Stay up-to-date with the latest at ELITE by subscribing to our e-News newsletter. Click here for the latest news!